In 2014, a team of archaeologists from Aarhus University and the Danish Castle Centre discovered a ring fortress believed to date back to the time of the Vikings, and in particular King Harald Bluetooth. The ring fortress was located in Borgring on the island of Zealand, near the port of Køge in Denmark. Historians believe that the fort was built around 980AD as part of a string of fortified outposts constructed as Bluetooth was introducing Christianity to parts of Sweden and Norway, as well as to Denmark. The ring fortress, one of five ring fortresses that are unique to Denmark, is very big, with a diameter of 142 meters and encircled by palisades that measured around 7 meters high. It also appears that one of the gates was, at one time, destroyed by fire. It all started when an amateur archaeologist using a metal detector located something metallic close to the remains of the eastern gate. This find encouraged the archaeological team to excavate the area, and one of the artifacts that was sent for cleaning was a lump of earth that took two days to extract, needing to be carefully taken out in one piece. After sending the lump of earth for a CT scan, the archaeologists found a number of tools in it that appeared to have been placed together in what is supposed to have been a toolbox, although the wooden box itself had long ago disintegrated. The team initially identified fourteen tools in the lump of earth, but think that more may be hidden and unidentifiable in the clumps of rusted metal. Naturally, after 1,000 years underground the iron tools are heavily rusted, but meticulous cleaning has revealed some sophisticated tools that once belonged to a carpenter or other craftsman. Historians believe that the ancient craftsman had occupied a workshop within the gatehouse but that it collapsed sometime late in the 10th century. The tools that have been revealed include spoon drills used for making holes in wood, a pair of tweezers which could also be a small pair of pliers, a “clink nail” used for fastening timbers together, a set of four finely-crafted chain links attached to an iron ring, and a draw plate that would have been used to make wire, possibly for creating jewelry. Iron was a prized commodity in Viking times, and it is unlikely that these tools were simply discarded. If they were no longer required, the iron would have been recovered and recycled to make other tools. So it seems likely that the items were covered up in the collapse of the gate house and could not be recovered. The excavation of this toolbox has renewed hope that other signs of human habitation will be uncovered in the fortress. 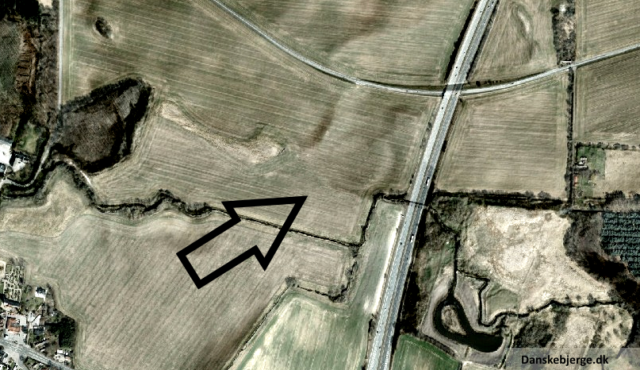 Other ring forts excavated in Denmark show remains of houses and graveyards, yet so far nothing has been found at Borgring. But the toolbox demonstrates that humans were in residence, and it is hoped that further evidence of human habitation will now come to light, Mail Online reported. 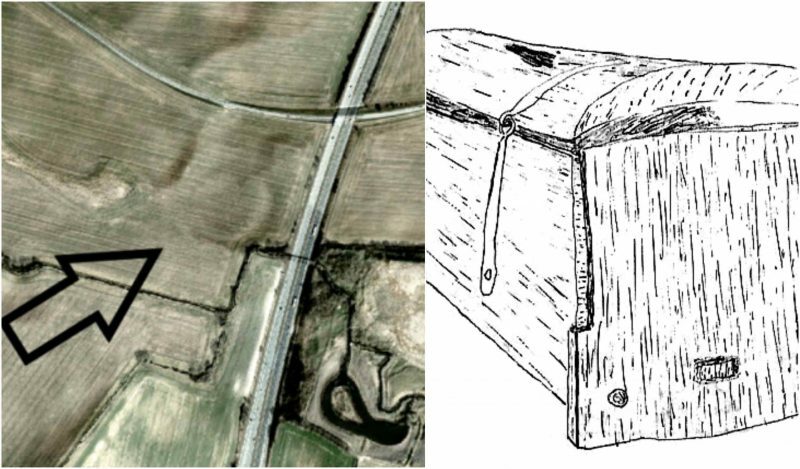 Any artisan will tell you that his tools are one of his most-prized possessions, so the loss of this toolbox, especially since it contained iron tools, must have been a significant blow to this ancient Viking craftsman. We are lucky to have found artifacts, especially tools, that would have been commonly used — such finds give us a glimpse into Viking daily life.